The unofficial visitor (and resident) guide to fun if you dare to venture off the beachin’ path. The tourism statistics and surveys are overwhelming, if not equally obvious: the beaches of Lee County and Southwest Florida rank among the top factors in motivating visitors to vacation here. And given that tourism is by far the octane that powers our economic engine, that makes our miles of sugar sand blankets of white important stuff, indeed. View this story in our digital magazine here. Today, while “beaching” remains the number one activity enjoyed among our guests, a myriad of options exist to entice folks to get up out of their lounge chairs and enjoy the kinds of experiences, adventures, attractions, events and destinations that (dare we say) don’t require sunblock. 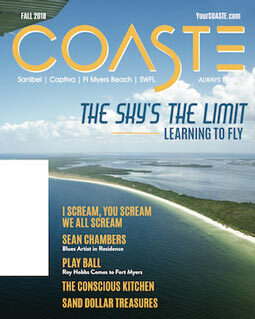 In no particular order, COASTE presents here our highly unofficial checklist of things awesome to do in Southwest Florida besides facing the Gulf of Mexico under an umbrella or behind shades. Not that there’s anything wrong with that. The fact is, Southwest Florida offers a diverse and highly talented entourage of performing arts companies that have a lengthy and successful history of entertaining our communities. It starts with Southwest Florida Symphony (www.swflso.org) which traces its roots back more than 50 years. This season, the Symphony is presenting more than 20 outstanding concerts and special events. There’s also Gulf Coast Symphony (www.GulfCoastSymphony.org), with its very impressive and diverse lineup of 10 classic to contemporary concerts. Alliance for the Arts (www.ArtInLee.org), established in 1975, today is comprised of 50-plus arts and cultural organizations, more than 1,200 artists and members, and has scheduled 10 diverse and fascinating exhibits through May — including three juried exhibits, as well as three exhibits where you can “walk and talk” with artists. BIG Arts of Sanibel (www.BIGArts.org) is once again presenting an eclectic, entertaining and enlightening calendar of music, dance, theater, exhibits, discussions and more jammed with nearly 100 events. The Barbara B. Mann Performing Arts Center (www.BBMannPAH.com), on the campus of Florida Southwestern State College, is the definitive venue in Southwest Florida for regional and national headliners and tours, and this season lists roughly 80 entertainment options from which to choose. Also, 2017 marks 20 years of standing ovations for Florida Repertory Theatre (www.FloridaRep.org) — consistently hailed as one of America’s premier regional performing arts companies (per the Wall Street Journal) — with a lineup of nine exciting performances this season including a world premier. There’s no denying the attraction of a walk on one of our sugar sand beaches, but when you feel the urge for something other than sand between your toes — just point your feet in any direction. 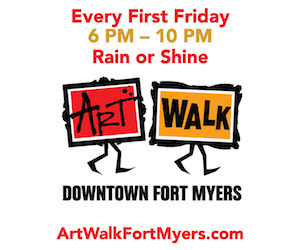 Start downtown in Fort Myers River District (www.FortMyersRiverDistrictAlliance.com), where every weekend brings you a chance to share food, drink and laughter as you enjoy evenings — make that more like street parties — celebrating the joys of art, music, street performances and a lot more. While downtown, make time to enjoy the diverse and highly entertaining season planned at the Sidney & Berne Davis Art Center (www.SBDAC.com) — art exhibits, concerts, festivals, workshops, special events and more. Of course, no visit to Southwest Florida is complete without the fascinating, historic and enlightening tours awaiting you at the Edison & Ford Winter Estates (www.EdisonFordWinterEstates.org) — where you can tour the homes, gardens and laboratories of two of the greatest minds in American history (along with a fascinating, interactive museum everyone in your family will love). If you prefer the great outdoors, then make plans for Sanibel Island’s legendary J.N. “Ding” Darling National Wildlife Refuge (www.FWS.gov/Refuge/JN_Ding_Darling). The largest undeveloped mangrove ecosystem in the United States consisting of more than 6,400 acres, the highlight of the Refuge is a 4.2 mile loop trail (walk or vehicle) that brings you up close and personal with a wondrous array of wildlife — by land, water and air. And for a walk on a different kind of wild side, make way to artsy, funky Matlacha (www.PineIslandChamber.org) at the roadway threshold to Pine Island— where you’ll find personalities just as colorful as the arts and crafts. Either way, be sure to bring your comfortable shoes and camera. There are a lot of ways to get out on the water (or even above it) — and you’ll want to take the opportunity to make a splash here in Southwest Florida any and every chance you get. Beyond a host of friendly and experienced charter captains for fishing or sightseeing, you can go big and explore our beautiful barrier islands aboard Captiva Cruises (www.CaptivaCruises.com). A favorite among TripAdvisor visitors, Captiva Cruises offers six unique tours including dolphin watch and wildlife, sunset, island hopping, sailing and more. If you like your water adventures with a bit more speed, you’ll want to hop aboard the Sanibel Thriller (www.SanibelThriller.com) — a 55-foot super catamaran that rips up, down and around Sanibel and Captiva in a historic, nature-filled and altogether wet and wild tour. Prefer to surround yourself in luxury? Then book voyage aboard Image Yacht Charters (www.ImageYachtCharters.com) for the pampered experience of a lifetime — be it for a few hours, a day, an overnight vacation or a multi-day excursion to destinations from the Keys to the Bahamas. And as you can imagine, you can set sail at numerous points of departure across Southwest Florida — and even more fun, learn how to sail at Offshore Sailing School (www.OffshoreSailing.com), billed as “America’s number one sailing school” with instruction locations on Captiva Island and Fort Myers Beach. If you’ve got a little time (and money) to burn, rest easy — you’re in paradise, where the shop-till-you-drop possibilities are endless and awesome. Take, for example, Periwinkle Place (www.PeriwinklePlace.com) on Sanibel Island, a top-rated TripAdvisor destination across Lee County where the park-like setting is as pleasant as the unique boutiques and shops you’ll explore. If you prefer mall walking among leading brands and upscale settings, lucky you —there’s Coconut Point in Estero (www.Simon.com/Mall/CoconutPoint.com), Gulf Coast Town Center (www.GulfCoastTownCenter.com) near Florida Gulf Coast University, and Bell Tower Shops (www.TheBellTowerShops.com) in Fort Myers. And for those who love great deals (who doesn’t? ), you’ll find ‘em at Miromar Outlets (www.MiromarOutlets.com) in Estero or Sanibel Outlets (www.SanibelOutlets.com), just moments from the Sanibel Causeway. And after all that shopping, you’ll need to recharge your batteries — and there’s no place fresher than Local Roots Farmers Markets (www.BuyLocalLee.com), with nine markets throughout Lee County.